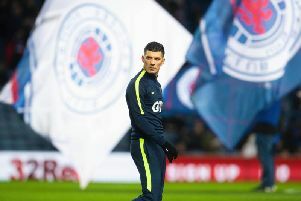 Rangers have held talks about ripping up Eduardo Herrera’s Ibrox contract, according to reports. The Mexican striker is understood to be earning around £20,000 a week and the Light Blues are thought to be keen on freeing up the cash for new signings. The 30-year-old scored just twice in 24 appearances last season and has struggled on loan at Santos Laguna and Nexaca. A deal similar to the one that spelled the end for Herrera's compatriot Carlos Pena has reportedly been discussed with the striker's representatives. New kits on the way? Hummel have hinted that Rangers' 2019/20 kits could be on the way with a cryptic social media post. 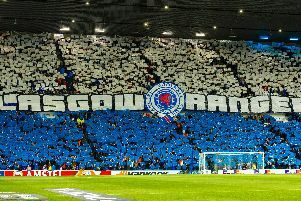 The Danish kit manufacturer tweeted several photos of Ibrox with the caption: "It’s the greatest sight that I have ever seen". Fans have gone into overdrive assuming that the message may mean the new kit designs will be unveiled in the near future. Rangers' Supporter Liaison Officer Greg Marshall has revealed that there are a whopping 13,000 names on the waiting list for Ibrox season tickets. The SLO responded to a query by a fan following the club issuing renewal forms for 2019/20 season tickets. The arrival of Steven Gerrard is seen as one factor in the lengthy waiting list, which Marshall said was "phenomenal".